When looking at the ACT economy it’s easy to think that our future growth lies in being a centre for governance and policy for the Australian economy. Although the Territory’s businesses will, of course, continue to have a significant role in services provided to the federal government – it’s important we lift our eyes over the horizon. For it’s not just in the Australian market that local firms are tapping into, but also ones further afield in Asia. As I mentioned in this column recently, next month ((April)) I will be leading a trade mission to Indonesia to look at further strengthening the ties between our Asian neighbour and the ACT. The extent of the linkages between Indonesia and Australia cannot be underestimated. In 2011-12 Australia’s two-way trade with Indonesia was $14.9 billion, up 8.3 per cent from 2010-11. Two-way trade in goods rose to $11.5 billion in 2011-12 (up 9 per cent from 2010-11), while twoway trade in services totalled $3.5 billion (up 6 per cent from 2010-11). Indonesia is our fourth largest trading partner in ASEAN and our 12th largest trading partner overall. Indonesian investment in Australia rose 11 per cent to $454 million in 2011. As impressive as these statistics are, there is considerable potential to grow. In particular, we can take advantage of the size, proximity and complementarities of our economies to increase bilateral trade and investment, which lags behind other aspects of the relationship. The trade mission will play to the ACT’s key strengths. It will leverage our competitive advantage as a service-based knowledge economy that has evolved to deliver solutions to meet the needs of government and business. The participants for the mission will be drawn from industry organisations with expertise in education services, knowledge intensive business services, ICT services and capacity building around governance, projects and infrastructure. In particular, the visit to Indonesia will be aligned to the ACT Government’s response to the Commonwealth Government’s Asian Century White Paper, and our aspirations for developing Canberra as a hub for international education. Although the high Australian dollar is somewhat dampening Australia’s attractiveness as a destination for foreign students, our international education sector is booming. Not only do educational institutions themselves earn significant revenue, foreign students spend money in our shops and restaurants and service sector. And, recent statistics indicate the importance of education to our tourism and hospitality sector – visits to Canberra by the families of foreign students are an increasingly important component of our international tourist numbers. The mission will provide a unique and facilitated opportunity for ACT businesses and institutions to explore opportunities to build long-term economic relations in Indonesia. 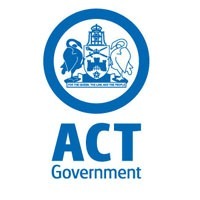 As much as the trade mission is designed to help boost ties and business between the ACT and business, the mission is also a broader way of telling a major international economic player that the ACT is open for business. If in years to come it serves as a reminder and instigator of links – economic, social and cultural – to the Territory, the mission will have been a success.